The Maison de la culture du Japon à Paris (MCJP) was created based on an agreement between French and Japanese leaders in 1982. Construction began with support from both public and private entities from the two countries, and the MCJP was completed and opened to the public in 1997. Since then, it has been involved in cultural outreach and exchange activities promoting Japanese culture, and celebrated its twentieth anniversary last year. Financial support for the MCJP’s operations come from Amicale au Japon pour la Maison de la culture du Japon à Paris, whose membership consists of private-sector companies and other organizations, and funding from the Japan Foundation. MCJP is the French office of the Japan Foundation, whose president, Hiroyasu Ando, also serves as the Secretary General of the Secretariat for Japonismes 2018. MCJP has been involved in Japonismes 2018 since preparations began, coordinating activities with the secretariat, which is based within the Japan Foundation in Tokyo. Actual preparation for Japonismes 2018 began in May 2016. At that time, we began working with a completely blank slate. We first began searching for venues in which to hold the exhibitions and theatrical performances. With only two years to prepare, this proved to be extremely difficult, since most major museums were already fully booked up to three to four years in advance. 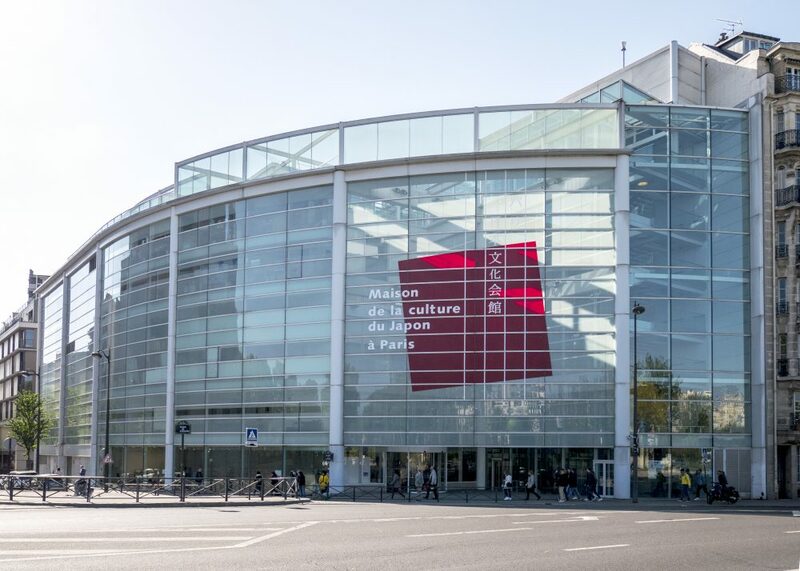 Some venues were secured right away, such as La Villette, where the teamLab exhibition is being held. However, venues for other events were more difficult to come by, and the Ito Jakuchu is a prime example. Jakuchu is an artist whose popularity soared in Japan following an exhibition at the Tokyo Metropolitan Art Museum, but who remained relatively unknown in France, even among museum curators and staff. In the end, we were able to secure a venue thanks to the director of the Petit Palais in Paris, who showed great understanding for our situation and negotiated individually with each of the organizers of exhibitions planned for the coming several years to reschedule their shows. Securing venues for other events also involved many complications. Nevertheless, all the pieces of the puzzle eventually came together. 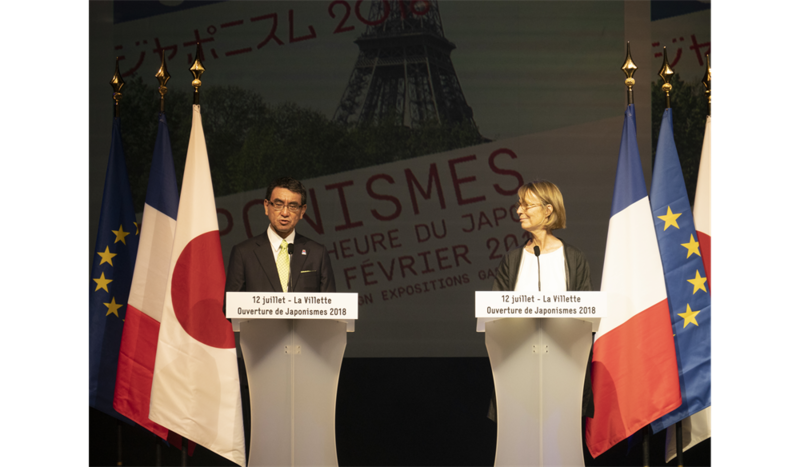 The details of the nearly seventy events on the official program had been successfully worked out by the official opening ceremony on July 12, which was attended by Minister of Foreign Affairs for Japan, Mr. Taro Kono, and French Minister of Culture, Ms. Françoise Nyssen. A Japonismes 2018 Information Centre has been set up on the ground floor of MCJP to promote and provide information about the entire Japonismes 2018 festival. Also at MCJP, an exhibition of the works of avant-garde calligrapher Yuichi Inoue began on July 14 in the exhibition hall on the 2nd floor. Other scheduled shows include the Jomon exhibition in the fall, and the Tsuguharu Foujita exhibition in the winter. We are also hosting many other events related to life and culture, including events featuring cuisine, Zen culture, and the appealing features of regional Japan. Numerous stage performances are also slated, including the contemporary play “Throw Away Your Books, Rally in the Streets” by Takahiro Fujita, known for his signature “refrain” method, in which the same scene is repeated over and over. This is an ideal opportunity to travel to France, visit Maison de la culture du Japon à Paris, and join us in celebrating Japonismes 2018. Tsutomu Sugiura joined Marubeni Corporation in 1971 after graduation from the University of Tokyo. After having worked in the art trade section and in the research department of Marubeni, he became Director of cultural activities of the Japan Cultural Institute in Paris (Maison de la culture du Japon à Paris (MCJP)) in 1997, year of its opening. Rejoined Marubeni in 1999, he became Director of the Marubeni Research Institute for five years since 2001. 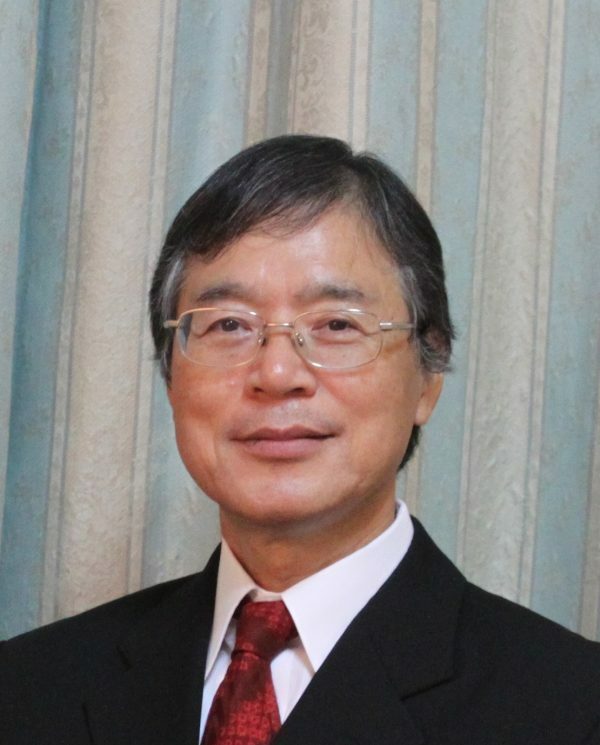 After retirement from Marubeni, he became Ambassador of Japan to Burkina Faso from 2009 to 2013. He is now President of the MCJP.